Say, can someone explain what a "buyout" is? Is Lin still getting his full year contract of $12mil? Did he just get waived by the Hawks? and now Toronto will pay the rest? I think the following article gave a pretty good explanation of how contract buyout works. Jeremy's agent and Atlanta Hawks negotiated a buyout whereupon Jeremy sacrificed a portion of his US$ 12M salary. Toronto Raptors picked up the waiver, and signed Jeremy for the rest of the season, most probably at veteran minimum salary capped at US$ 2M+, depending on how much cap space or whatever exceptions the Toronto Raptors have available !!! The benefit for Jeremy is that he can now play for a WINNING AND PLAYOFF-BOUND team, rather than stays with a TANKING LOUSY TEAM !!! Assuming he does sign with Toronto, will he play Wednesday night? Btw - watched the Nets-Raptors game last night. Damn, Marc Gasol is good. If he's coming off the bench with Jeremy, there's some awesome potential there. Hey, it's the new perfect situation for Jeremy Lin. 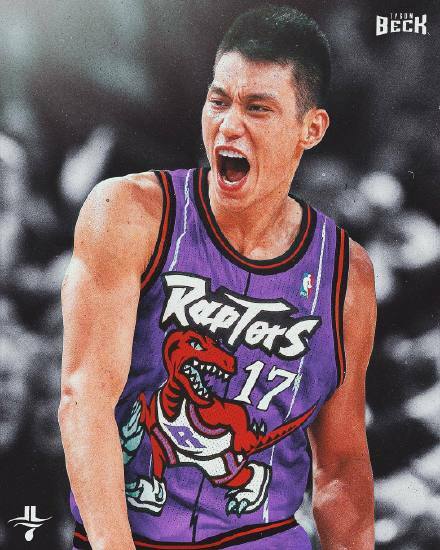 All can rejoice, until Kyle Lowry has a bad game, then all the shrinky dink chinks will get triggered and screech "TRADE JEREMY LIN TO THE NEXT PERFECT TEAM WHERE HE CAN WIN A TITLE!!!". hehe back from the long hiatus. waivers usually takes 48 hours, so he possibly could be availalble on Wed. Thanks Pryuen. Although Lin wanted out, I have to have respect for players who leave money on the table to play for a contender. LOL !!! EFFICIENCY WISE, Jeremy is FAR BETTER than Fred VanVleet this season. Fred VanVleet averaged 26.8 mpg, 10.8 ppg (40.3% FG% 36.6% 3-pointer%), 2.7 rpg, 4.6 apg, 0.9 spg, 0.2 bpg. Jeremy averaged 19.7 mpg, 10.7 ppg (46.6% FG% 33.3% 3-pointer%), 2.2 rpg, 3.5 apg, 1.1 spg, 0.4 bpg. I look at PER to determine how good a player is. The PER is a good measurement of how efficient a player is when on the court. Lin's PER is on par with Kyle Lowry at 16.93. Van Fleet is at 13.42. Steph Curry is the best PG in the league. Not surprisingly, his PER is 25.90 and near top in the league. FYI, Trae Young per is 14.51. Earlier in the season, he was near 11.00. The best player on the Raptors is Kawhi Leonard at 26.20. THANKS for the PER figures that I was looking for. This PROVED I was RIGHT to point out that Jeremy is a BETTER point guard than Fred VanVleet !!! Jeremy posted this on his Weibo !!! Even though the waiver clearance of 48 hours is yet over, it looks like the signing with Toronto Raptors is FIRM. And Jeremy will be wearing #17, another of his favorite lucky number jersey. It was reported that Jeremy tweeted ex Raptors Jonas Valanciunas who originally wore #17 but now traded to Memphis Grizzlies for permission for him to wear the #17 jersey, and Jonas Valanciunas responded positive. HIGH EQ of Jeremy !! !